Are you currently suffering from an emergency toothache? An emergency toothache is defined as pain in or around a tooth. QUESTIONS? FOR IMMEDIATE ASSISTANCE PLEASE CALL ONE OF OUR FRIENDLY DENTAL TEAM MEMBERS AT (678) 809-4600! 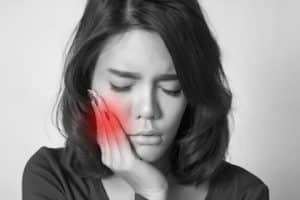 What are the symptoms of emergency toothaches? Tooth pain that may be sharp, throbbing, or constant. How can Pearly Isles Dental help me with toothaches? Call our office today if you are experiencing a severe toothache. We offer SAME DAY APPOINTMENTS whenever possible! We will bring you in for a focused examination of the impacted tooth or area of your mouth, that will include an x-ray of the area and a thorough doctor examination. After the exam our doctors will give you a treatment plan on how to fix the problem.